Happy Halloweeeeeeeeen! ? ? ⚰ ? ? ? 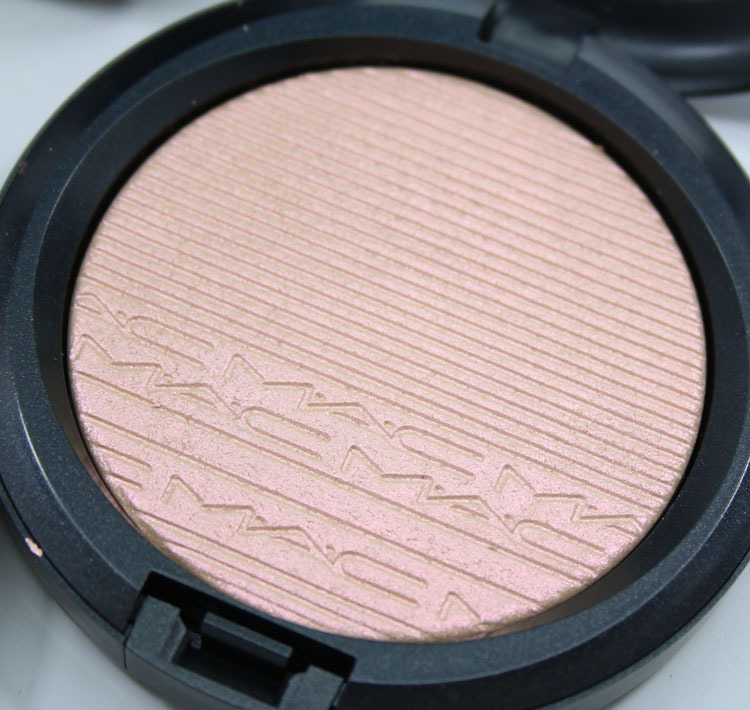 MAC In The Spotlight is a new collection coming out really soon and I’ve got some info and swatches for you today! In The Spotlight features some products you can use to get the super trendy “strobing” effect that you have probably seen all over social media lately. 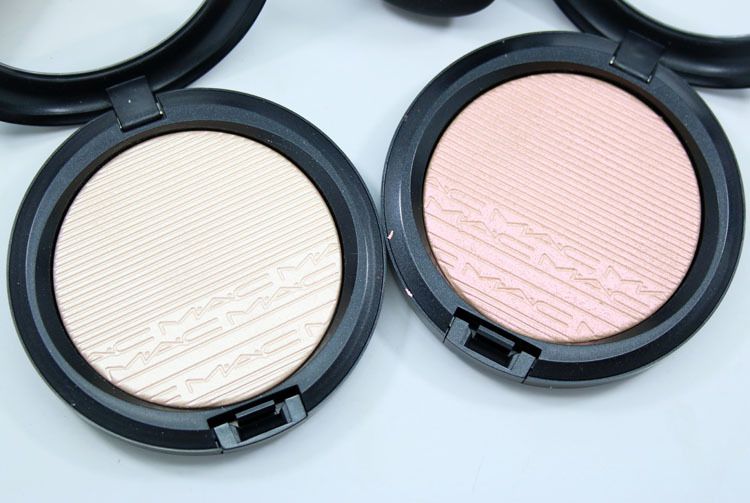 First it was contouring, then it was highlighting, now all the cool kids are strobing. Sigh. I cannot keep up with it all! 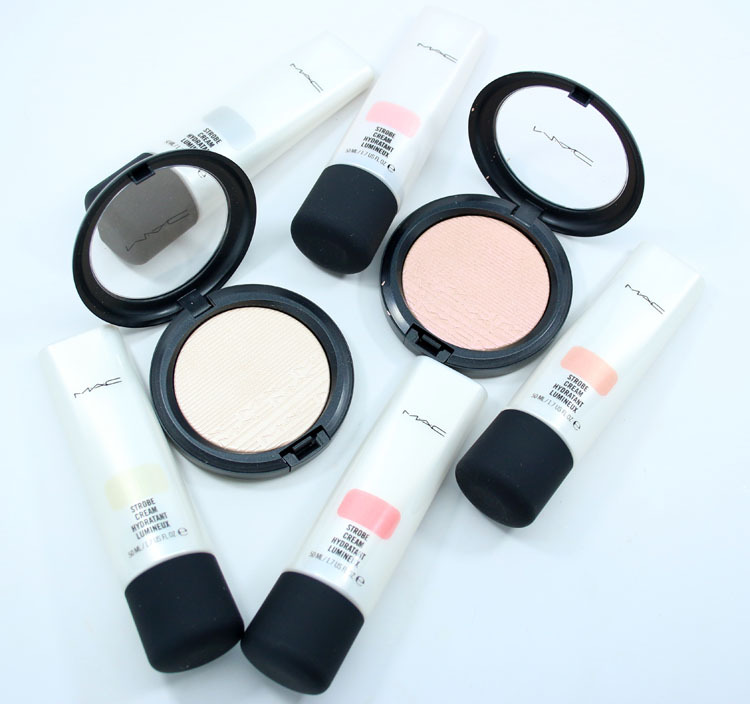 The items in this collection include five Strobe Creams, which are a luminescent moisturizer with antioxidants that hydrate, freshen up and boost the look of tired skin with iridescent pearl particles. 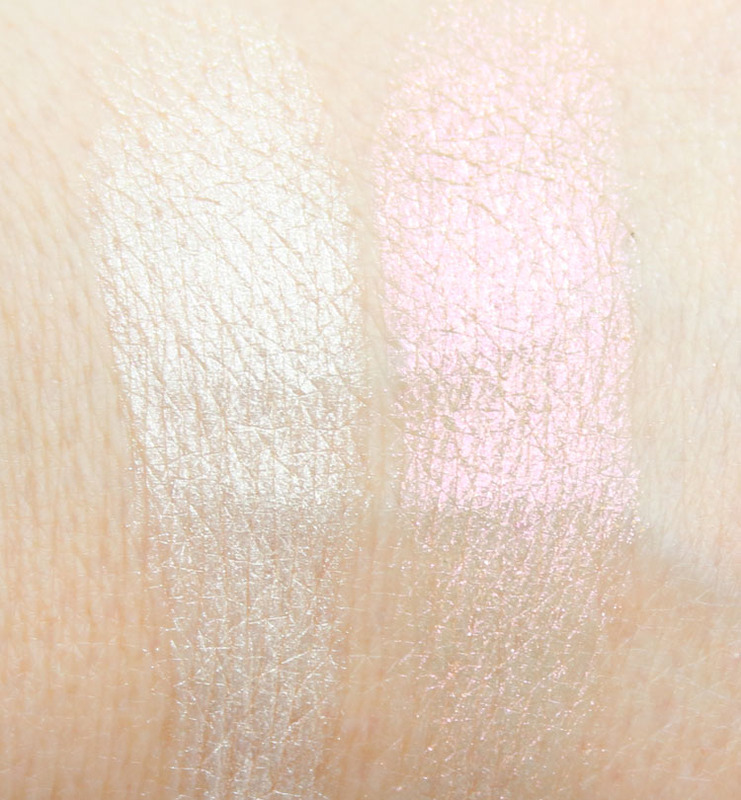 The original one is Pinklite and now there are 4 more shades. 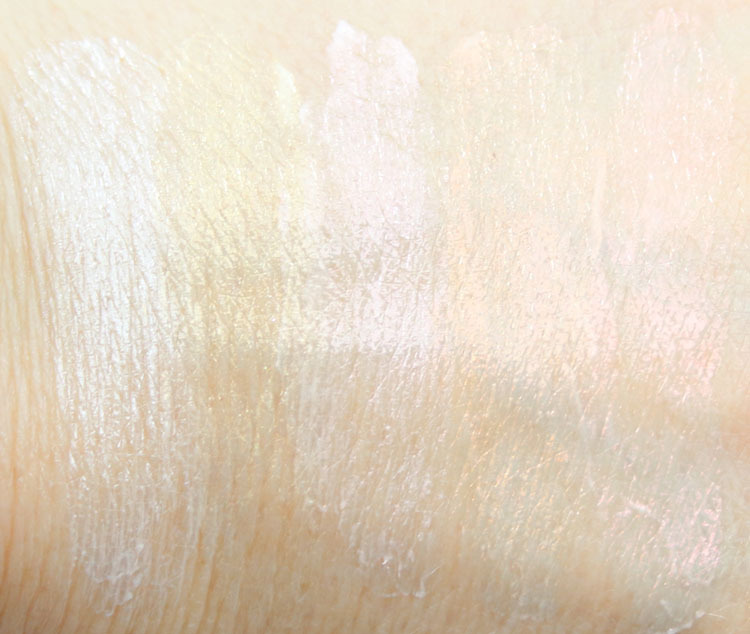 Extra Dimension Skinfinish is now in four new shades which you can use to create a shimmery “beam effect’ on the skin. Show Gold is a peach/pink. Silverlite is a silver pearl. 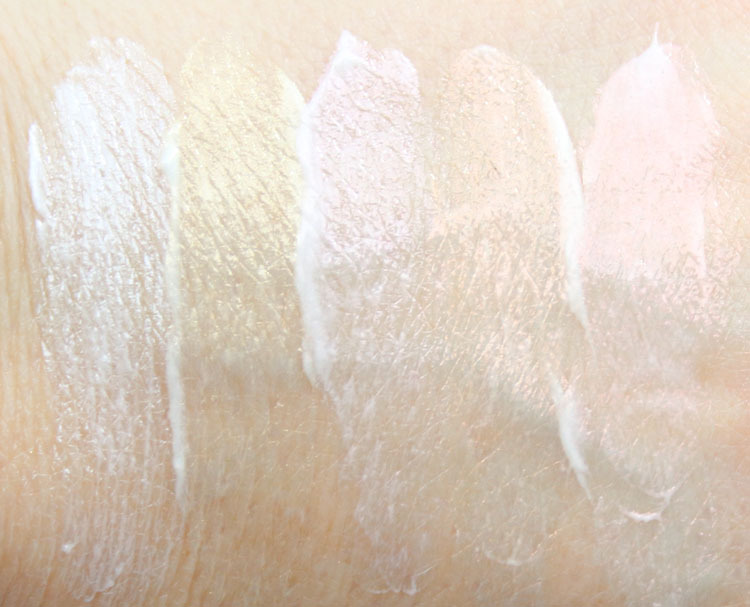 Goldlite is a cool-toned gold pearl. Pinklite is a pink pearl (original shade). Peachlite is a peachy pearl. Redlite is a red/pink pearl. These are so pretty! I like the Strobe Cream because I am super lazy and if I can just slap this on as a moisturizer, I am way more likely to use it (unlike contouring, which takes actual placement and effort). The Extra Dimension Skinfinishes are really pretty as well, especially the pinkish Show Gold. I like that they aren’t SO pigmented that it would be overkill to use them. And they are light enough for even very fair-skin. 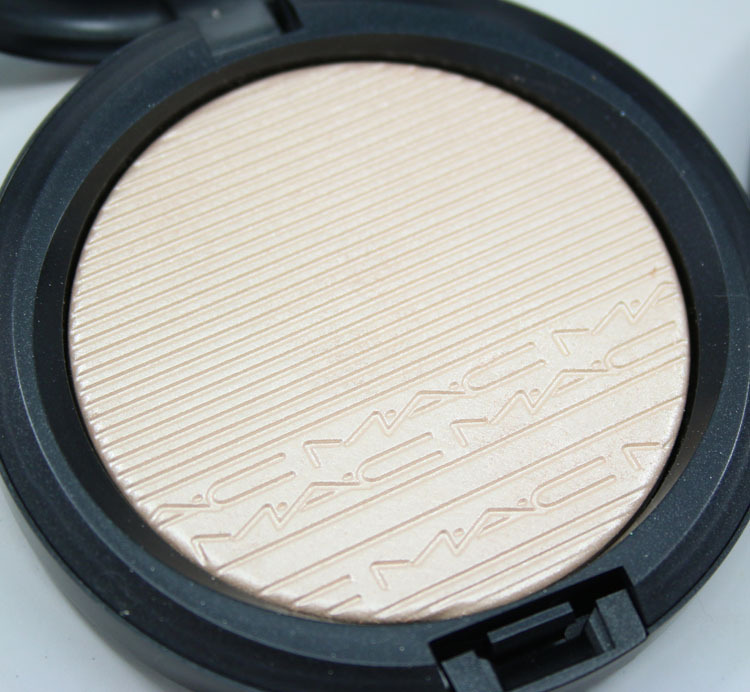 MAC In The Spotlight can be found on the MAC site November 3rd and in stores November 10th in the permanent line. Strobe Cream is $33.00 for 1.7oz and Extra Dimension Skinfinish is $33.00 each. Are you into this strobing trend at all? 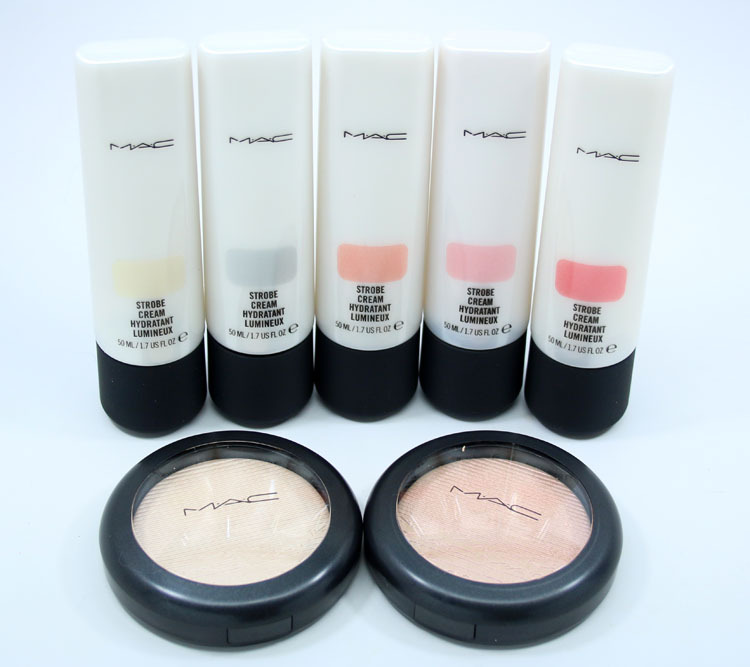 Those are really pretty, especially the creams, but I’m passing on the strobing trend. I love Show Gold and most of the creams. I’m so glad these are permanent so I don’t have to get them immediately. Thanks for the great swatches! These are gorgeous! I am amazed by some of the photos I have seen online that feature strobing. Some of those looks are truly out of this world! Very ethereal.